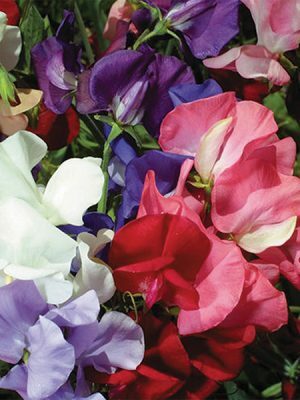 Climbing peas with large fragrant double flowers. Flowers for a long time beginning mid-Summer. Keep picking to encourage blooming. Well suited to cool areas. A mix of blue, scarlet, pink and white. A great long lasting cut flower.